Hello There! It is Freewave here. I am reanimating Morte's opening post (and body i guess) in order to give a brief description of what this thread is and why it's here. Morte came up with the idea of Maressey in a skype chat; a bunch of ponified covers of rewritten The Smiths and Morrissey songs. It all began here over a year and a half ago. I quickly joined in and we began fleshing out the idea of this project. Playfully at first, seriously later. Why would anyone start such a project, let alone start a full 2 page thread? Well The Smiths were not just an ordinary band, they were a very special one. 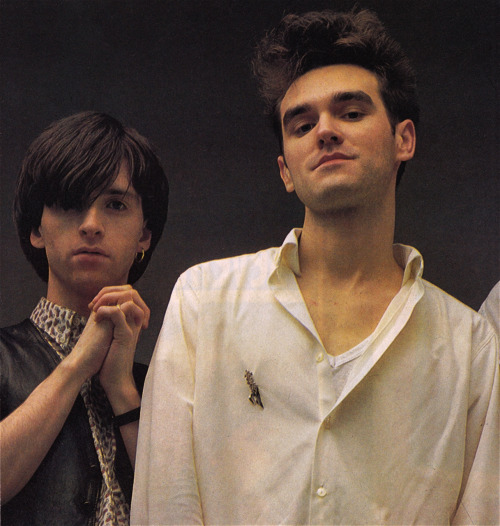 The Smiths were really one of the most important bands of the 80's. They came out of the UK and really ushered in the indie pop movement, a departure from synth heavy pop, and had the best songwriting duo since Lennon and McCartney (or Plant and Page to be fair). They did things their own way and made songs that were incredibly relevent to their die hard fans. Songs about loneliness, depression, shyness, sexuality, and social issues. They did it with flair, passion, and a lot of wit. Even if the songs were sometimes sad they made you feel incredibly happy after hearing them, because someone else clearly knew how you felt. Their music spoke to and FOR people. It just so happens that the song subjects and lyrics of The Smiths really crossover WELL to the brony community. When these songs are ponified as we have already done they give interesting spins on both our characters but also on the brony community ourselves. We've tried to capture what we love about these songs and make them equally relevent to our community. This thread and this project started mostly by accident, and Morte sadly has bowed out, but it does continue on and will be collaborative event album. Even if you aren't a Smiths fan, we hope that you will be when you hear these songs as there's relevence, poetry, and a real revoultion from the norm and from traditional pony EDM. Much like how people cosplay because they want to be the characters, this is an effort to channel what we love about the Smiths into something that's relevent to us and we do it back as a tribute to them as well. Very much like what the Beatle Bronies did for the Beatles but we're going to be tackling songs that likley many people haven't even heard before. We'd like this music to create a real impact to those who hear it and have an independent flair from what's been done so far in the community. Even if you're not a Smiths fan yet we're hoping that you will be by the time we're done. . I will be looking for many vocalists and additional musicians for this project, so if you are interested don't be afraid to reach out to me. Unlike most event albums this is more an act of forming a cohesive and unified album and approach vs having everyone working autonymously. Think of it as being in part of a virtual collaborative band. After a year and half of dreaming, this project has a go ahead and will be a real album this summer (of 2014). I've worked with a Smiths cover artist named Johnny Mare, who despite his name is not a brony, but he has done the music on over 10 songs for this project. That includes the guitar parts he's personally done, bass, drums, and even some orchestral elements, so they are just needing vocals. There's even more songs from their vast catalog to tackle if you 'd be interested helping to complete this eventual free album. We have midi files, song books, and tabs for guitarists for those particular tracks. There's also plenty of literature on how to get certain guitar effects and sounds on these tracks. ....your help is very much needed IF you are interested. We're not looking for name recognition, we're looking for overlooked talent who'd like to be involved on an ambitious rock based project and can help pull it off. This really will be a group effort but you'll likely only be needed for a particular song or two or however much involvement you want to give. For the most current status on this project see this updated post. Yay!! I think i requested this by the way (LOL). Awesome job! Keep it going!! Freewave wrote: Yay!! I think i requested this by the way (LOL). Awesome job! Keep it going!! Oh, you did! I may have gotten names mixed up. And I’m trolling you, now. Always seem to feel so bad? Is it wrong not to always be glad? who do we need to know? before i get my mark?!! Will nature make a stallion of me yet? She said "please pose for me"
that somepony knows such despair"
Damn! I've got to get back on this thing so I can catch up! I decided to make this one about a headstrong male pegasus who focuses too heavily on competition and being the best of the best that he misses out on the rest of life's pleasures, realizing too late that he has worn himself out before he could truly enjoy his youth. Well, it’s the Cloudsdale thing to do. Take life at five times the average speed, like I do"
"Oh, where did all the time go?" Now it’s too cold...and he feels too old. MorteMcAdaver wrote: Damn! I've got to get back on this thing so I can catch up! Yes a lot of fun. I know there's that 10 track This Charming Man remix EP which SHOULD have an instrumental on it. I also have a LOAD of Smiths bootlegs and it looks like there are quite a few (such as the Asleep bootleg) so I'll see if i can find any in the my box of Smiths audio and video. Hopefully I can find some in there (with luck) or from a torrent. If you want to do this as a joint thing that woudl be awesome. I can't sing but i can get the music, do some art, and do the pmv. Looks like we COULD get help from JohnnyMare if you wanted to reach out to a non-brony with a brony name (LOL) who can do instrumentals. Some of the DRUMS are kinda tacky with the midi drum instrument portions as is. Not sure if we could take some of those out and get better substitutions in but otherwise rather good. Last edited by Freewave on 07 Oct 2012 17:14, edited 1 time in total. ASK ME — I WON'T SAY "NO" — HOW COULD I? Nature is a language — can't you see? English is a language — can't you read? Dubstep invades ponyville and many ponies have just had their fill of it and are appalled. Applejack in particular says enough is enough and burns down the local dubstep discotech on her side of Ponyville. 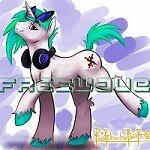 The revolution of music with substance invades equestria with dj's fleeing for their lives. Last edited by Freewave on 10 Jan 2013 10:34, edited 1 time in total. Keeping them coming (although some songs i can't do anything with) some just write themselves. Morte I'd really like to see these songs become a reality if you're interested!! Last edited by Freewave on 16 Jun 2016 18:33, edited 1 time in total. Ok so here is the Twiluna Arc. 4 songs about Twilight meeting her crush Luna in Canterlot, spending a romantic week with her, and then having to go their separate ways at the end. do you hear me when I sleep? Twi and her crush Luna finally spend some alone time during their visit in Canterlot and the differences between the 2 become ever so much apparent. Twi the shy and uptight heavy thinker with a load of questions and Luna the more carefree spirit with way more life experience and living in the now. This is Luna's song to Twi asking her to let her deep and repressed thoughts go and enjoy life and physical delights for a change. What's at the back of your mind? But what's at the back of your mind? Will the world end in the day time? Or will the world end in the night time? And is there any point ever having children? Twilight finally consummates with her long crush Luna despite there still being a sizeable maturity difference between the two. It's not everything she built it up to be in her mind but it's certainly a leap into adulthood and opens up entirely new thoughts and feelings. A frank tale of what happens between the two on the grounds in Canterlot. and they were so wrong! After the romantic week in Canterlot that's illustrated in the first 3 songs the couple must finally must go there seperate ways. Leading to Twilight being yet alone...again. Emotionally crushed this is her song as she asks Luna to sing her to sleep before she must depart in the morning. Last edited by Freewave on 13 Apr 2013 12:28, edited 1 time in total. A general spoof of brony musicians quitting their jobs to become professional brony musicians. An element of truth among the satire. A teenage Scootaloo is infatuated with Rainbow Dash wanting to spend every moment with her idol. Rainbow Dash is bored of her bland relationship with Fluttershy and appreciates the attention. The unbalanced and unhealthy relationship is a hardship most for Scootaloo. It's clear she cares so much more about Dash and is not old enough or ready for a companionship that she desperately wants and is not getting. we went to a place where I could confide.. This in the ending song to album #2. Rainbow Dash leaves for Cloudsdale to finally join the Wonderbolts, abandoning Fluttershy, Scootaloo, and her friends to pursue her lifelong dream. Scootaloo in desperation chases after her but eventually finds herself housed in a charity hostel in Cloudsdale, a long way from where she intended to be. I said: "I like it here - can I stay? Last edited by Freewave on 19 Jun 2016 16:50, edited 2 times in total. Yes this song is a sarcastic song. Luna falls into a coma and Celestia goes through the motions of concern, coming across as rather fake and reflecting on the difficult relationship she's had with her sister. Frankly, Dashie is a bit bored with Ponyville. She has far too big a personality and ego for such a small town. With a town that she's growing out of where nothing ever changes and a relationship she now finds somewhat boring she's finding a pull to move on to bigger things and to let the past go. am I still ill? . Oh gawd. So much to read! Hey, if there's time, I can do one hell of a Morrissey voice/impression, and I'd love to pitch this as a performance thing for certain Brony conventions if they would have us! My situation is this: I manage three projects, some more active than others, and this includes both live performances and recording. Thankfully, there's only one big album recording left to do in the near-ish future, plus a list of commissions that I need to do, so that frees up some time. Point being: I tend to be quite a busy brony, to say the least. This is not even to mention the various personal and family-related business that I'm managing at the time (nothing dire, mind you, just time-consuming, mainly). With that being said, I'm absolutely up for doing a joint thing! To perform Maressey live would be a huge thrill, sporadic though the shows may have to be (at least on my end). I would prefer to be the lead vocalist, and I can also capably play bass or keyboards (simple parts) and sing. I'd also perform with backing tracks. Another thing I can do is go through the lyrics you've written and tweak them so that the words' phrasing makes sense with the song. This is something I have already done with the lyric sets I've already posted, of course.